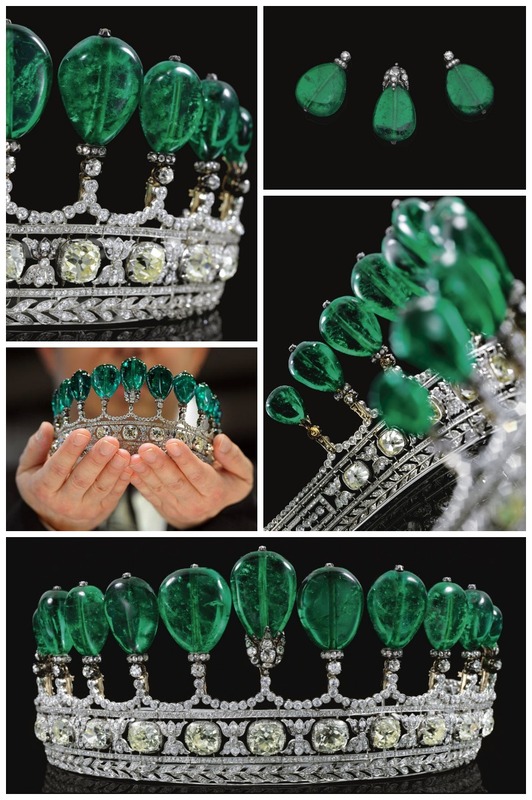 Magnificent royal emerald and diamond tiara. You are here: Home / Jewelry / Tiaras and hair ornaments / Magnificent and rare emerald and diamond tiara. 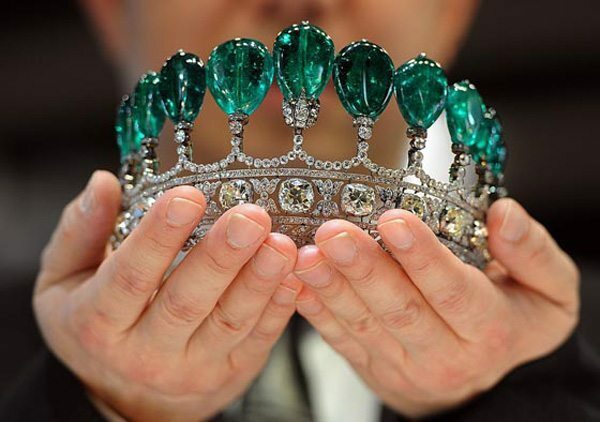 Magnificent and rare emerald and diamond tiara. That title is straight from the Sotheby’s auction, but it was so appropriate that I couldn’t bring myself to edit it. 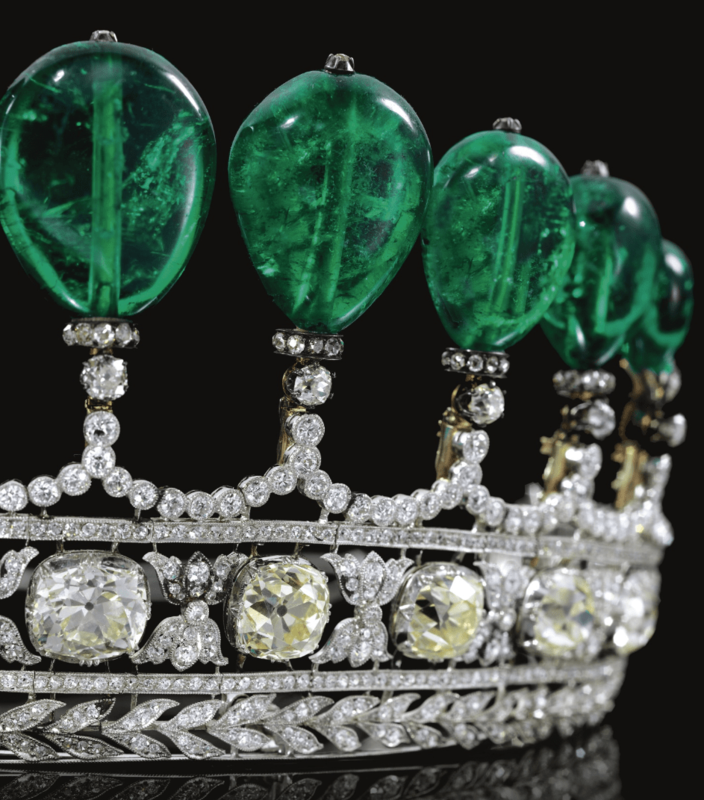 You should be sitting down before you look at this this emerald and diamond tiara. And breathing deeply. Ready? This incredibly beautiful, impossibly stunning emerald and diamond tiara was previously owned by a bona fide princess, Princess Katharina Henckel Von Donnersmarck. Try not to drool on your keyboard, it’s bad for the keys and you’re going to want to scroll down to see the rest of the pictures. This emerald and diamond tiara is of foliate and floral inspiration. The base is set with a central row of eleven large cushion-shaped diamonds, each collet set between pairs of muguets (aka Lily of the Valley). Below this row is a line of laurel leaf motifs and above it are festooned ribbons, all pierced and millegrain set throughout with rose and brilliant-cut diamonds. 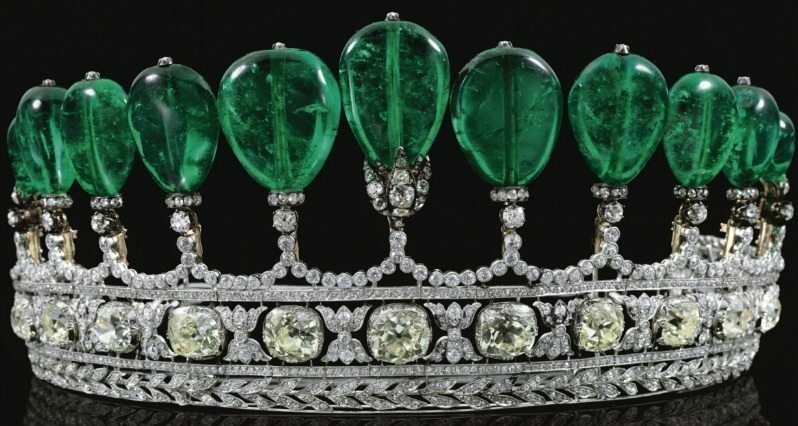 The tiara is surmounted by a row of eleven polished pear-shaped emeralds, totaling approximately 500 carats, graduated in size from the center, each emerald drilled and held in diamond set cusp motifs, the nine largest tipped by rose diamonds, mounted in silver and gold. 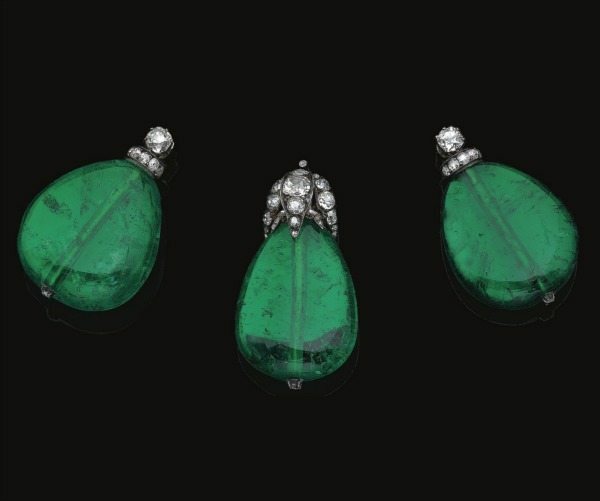 The emeralds are detachable. 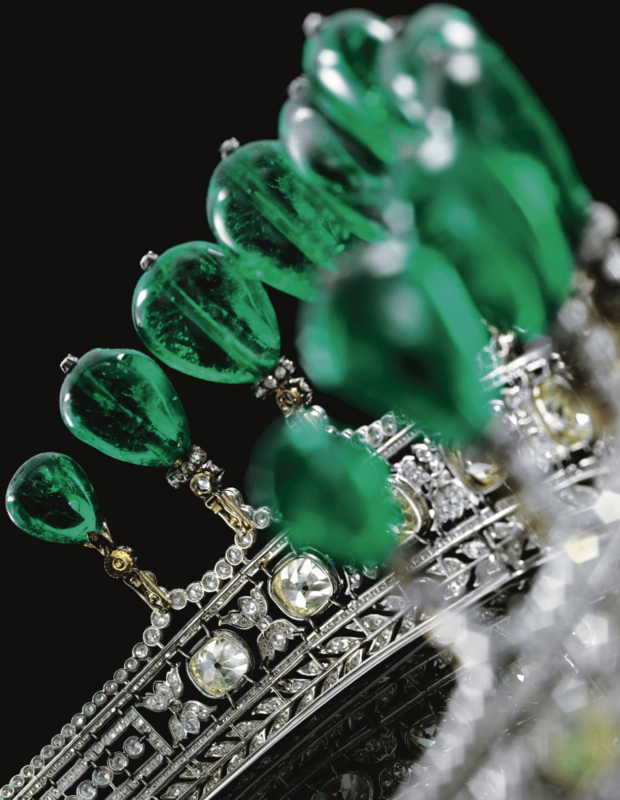 This to-die for emerald and diamond tiara was sold in Sotheby’s May 2011 Magnificent and Noble Jewels sale for a record-breaking $11,912,064 . All images and info are thanks to Sotheby’s unless otherwise noted.